Mezco Toyz is proud to bring Jason Voorhees to their Stylized range of figures featuring an axe, machete, alternate hand and removable mask. 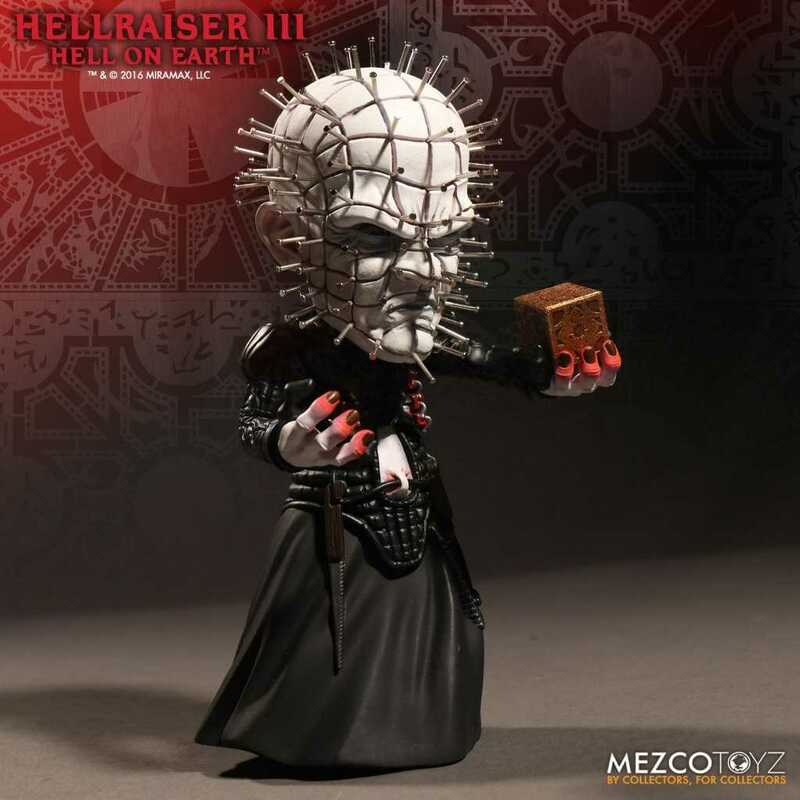 We love Mezco Toyz super deformed stylized figures and now we have Pinhead, the star of the Hellraiser films and the leader of the Cenobites. 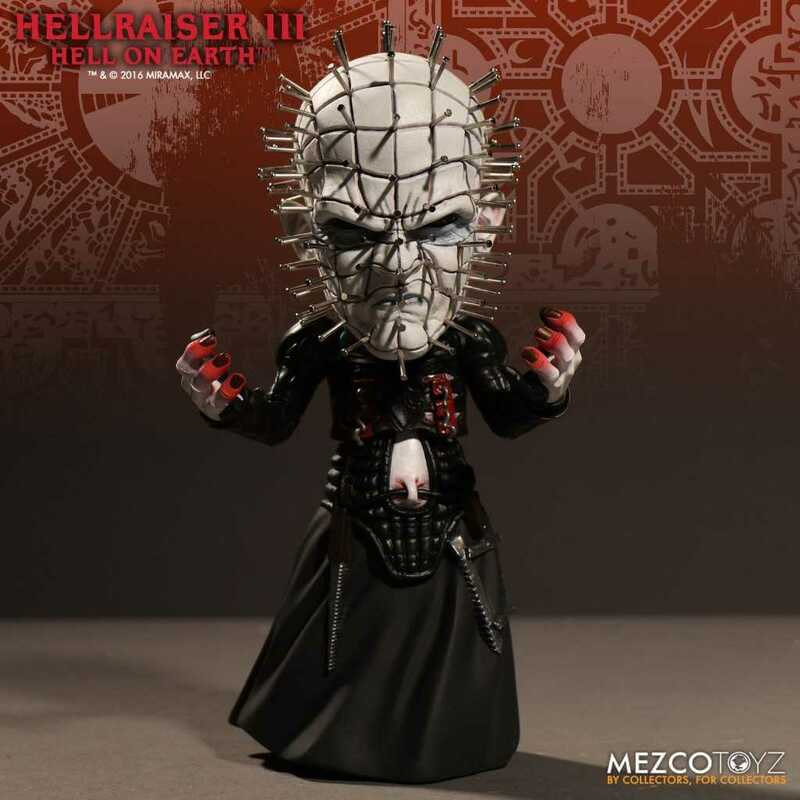 Pinhead has been summoned after the Lament Configuration cube has been solved and now he enters into our realm. 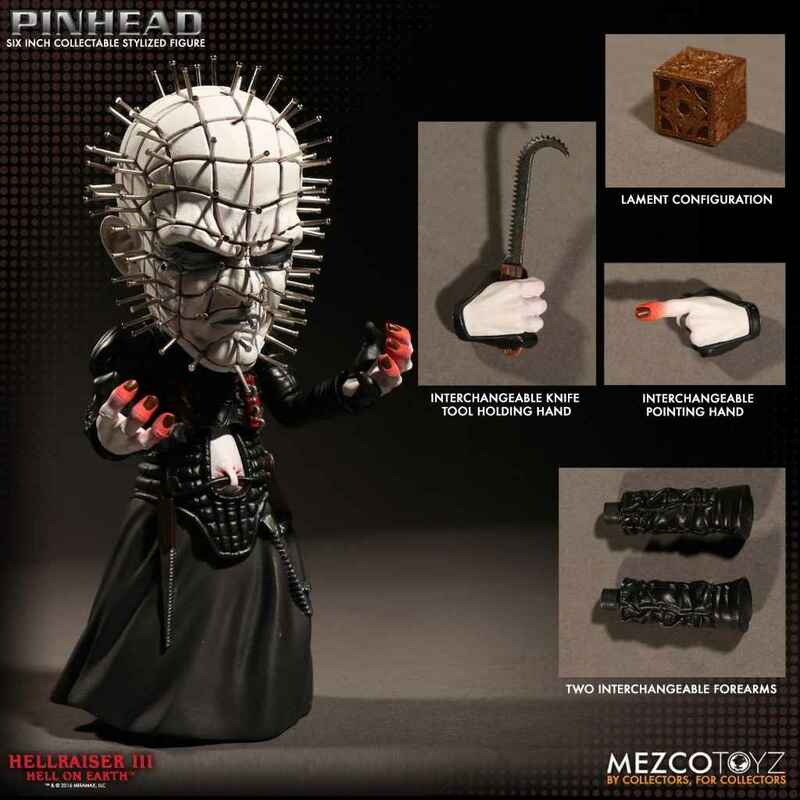 Pinhead stands at 6" tall, has 8 points of articulation and features the trademark pins in his head, which are crafted of real metal plus he comes with two sets of arms and two interchangeable sets of hands (four hands total) enabling for a multitude of poses and play options. 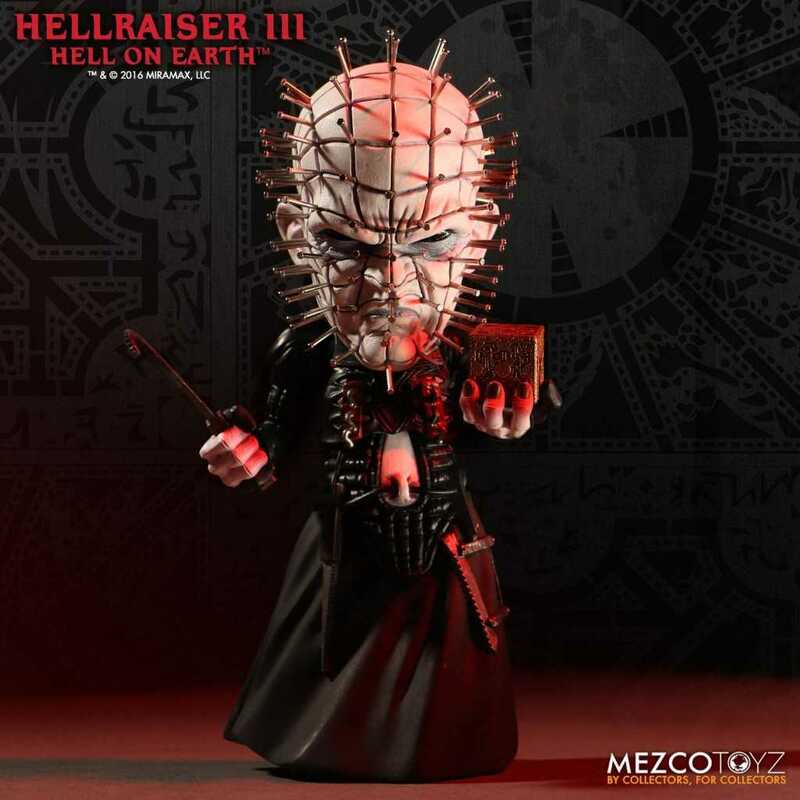 Comes with a variety of accessories including the Lament Configuration puzzle cube, which can be held in his hand plus there's the unholy instruments of torture, which can also be held in his hands or dangled from his corded waist. 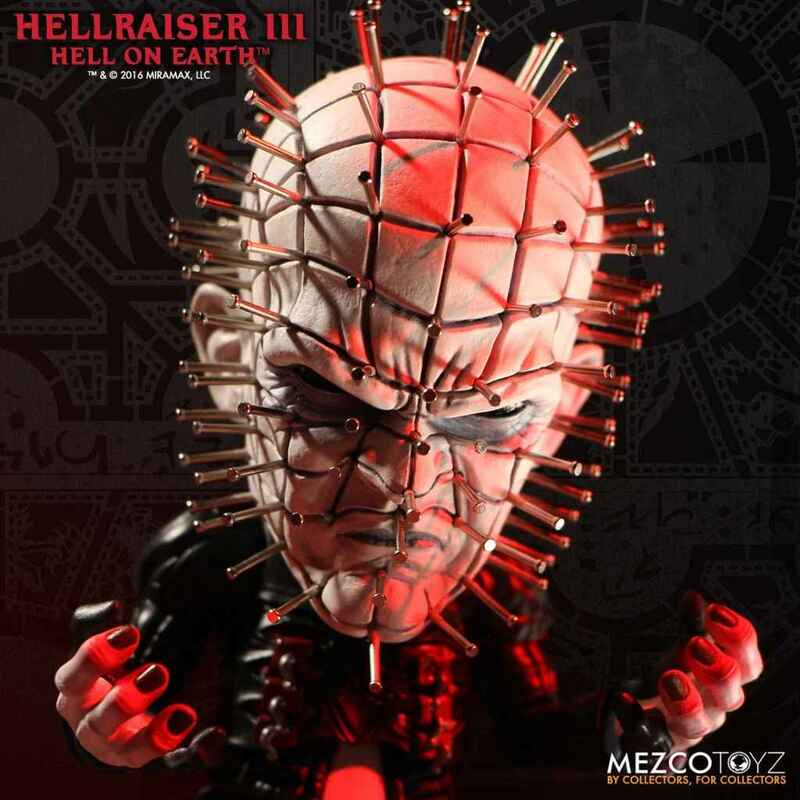 This Deluxe Pinhead comes packed in a specially die-cut window box that is perfect for display in your collection of depraved treasures.